Smith nominated for City News Rochester 10! 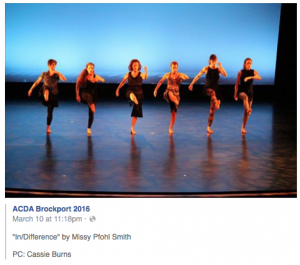 BIODANCE Artistic Director Missy Pfohl Smith was nominated and featured for City News Rochester 10: Rochesterians Doing Great Things Behind the Scenes in December 2015. Over the last year, she and her company have presented Pfohl Smith’s “Social Justice Series,” a body of work that addresses injustices in today’s society and comments on inequalities. 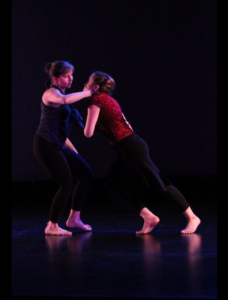 The 10-member dance company has performed in libraries, senior centers, and other community venues, particularly reaching out to seniors to help them tell their stories. A good example of what she is accomplishing with this series was “Compartmented,” a site-specific, multimedia, pop-up event co-curated by Pfohl Smith and Evelyne Leblanc-Roberge, assistant professor of art and lens-based media at the University of Rochester. The event took place in early December in the former Sunday school space located in the back of what is now the Lyric Theatre on East Avenue. The pop-up was created specifically to be performed in this unique space (the former home of First Church of Christ, Scientist) which has rounded walls separated into 20 tiny reading rooms on two levels. Last fall, BIODANCE appeared at the Rochester Fringe Festival’s Friday on the Fringe event with Grounded Aerial in front of 13,000 audience members. While the modern dance and aerial arts company scaled the side of the One HSBC Plaza building downtown, BIODANCE performed atop the “Tribute to Man” sculpture in Manhattan Square. 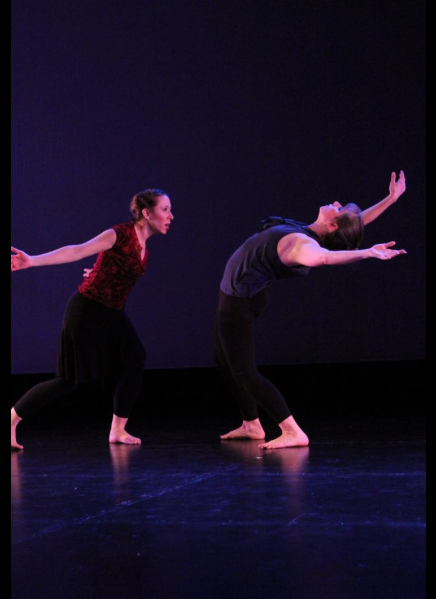 That wasn’t the first major project for BIODANCE at the Fringe. In 2013, the company presented “Anomaly,” a site-specific work performed in the four-story dome of the Strasenburgh Planetarium in collaboration with Sound ExChange and W. Michelle Harris, a media artist and associate professor of Interactive Games and Media at the Rochester Institute of Technology. BIODANCE has also appeared in many festivals and locales outside of Rochester: The Yard in Martha’s Vineyard; The Heidelberg New Music and Dance Festival in Tiffin, Ohio; University Settlement in New York City; and Danspace at St. Mark’s Church in New York as part of the Remember Project. They have also performed at many colleges and universities.